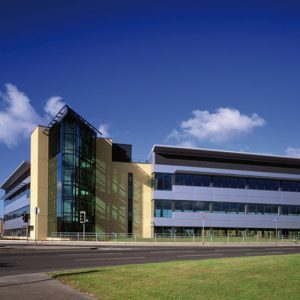 A strategically important development, which encourages urban regeneration. 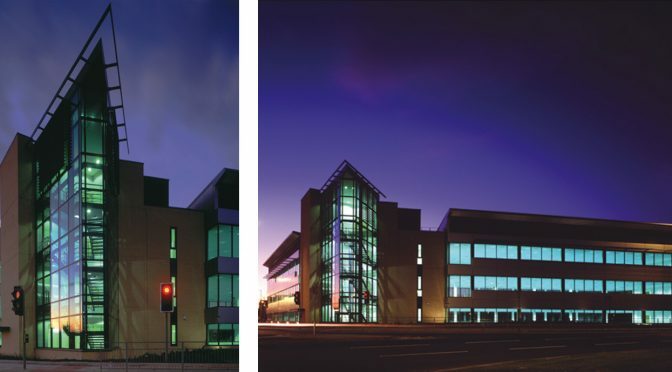 Completed in 2003, this competition-winning design for a new commercial development is situated in a strategic, gateway position on the approach to Manchester city centre. 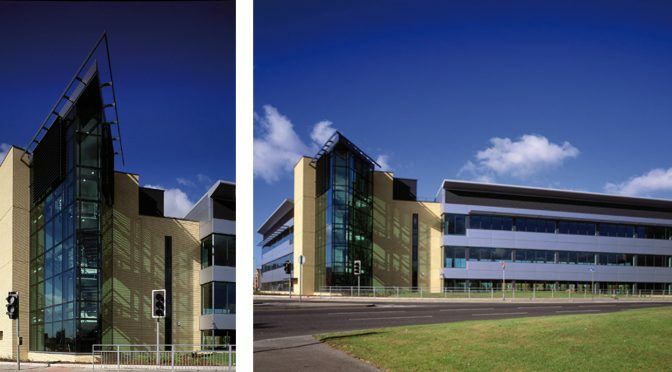 The Birley Fields masterplan was designed to accommodate up to four regional headquarters, providing modern, flexible office space in an area where the project is of great significance in terms of urban regeneration. The design’s distinctive, contemporary form offers a framework for future development where previously there was a lack of cohesion in the built environment. 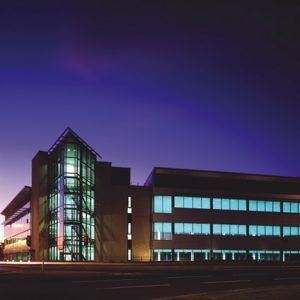 In consultation with the client/contractor, an efficient plan form was generated for the offices, providing a total of 80,000 sq ft within two three-storey buildings.